SCREEN SHOTS Page 1 of 3 Click on the images to the right to magnify them. These screen shots were taken using CAPITAL Business Manager V8 & CAPITAL Sales Force Manager V8. Assembly Manager lets you build items out of inventory. Add labour and other costs such as subcontracting work. 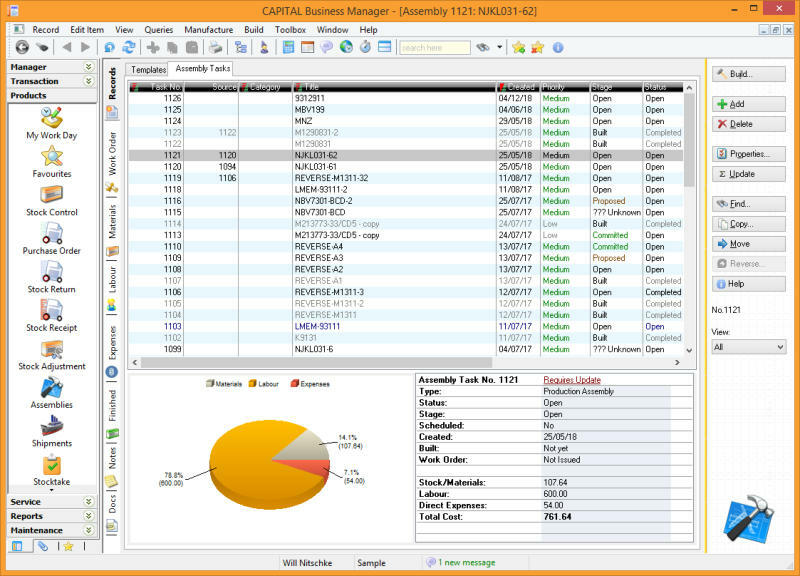 Assembly tasks describe your bill of materials and other processes. Assemblies can be auto generated by your ordering system. 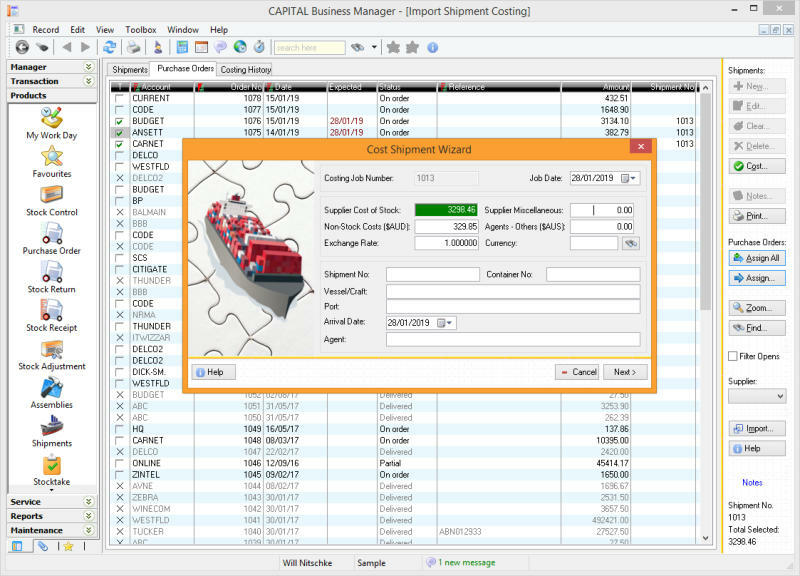 The Import Shipment Costing system allows you to assign purchase orders (or parts of purchase orders) to ‘shipment’ for tracking and costing. Update ETA’s and then calculate FOB and landed costs.when goods arrive. 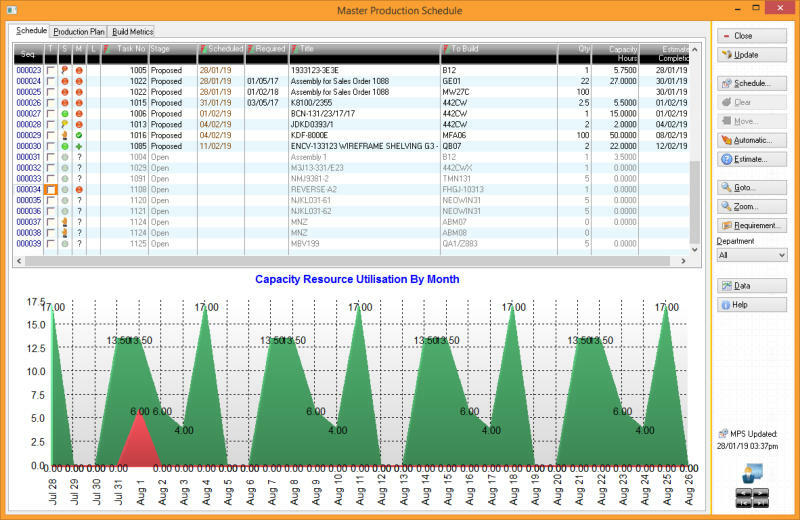 The Master Production Schedule, part of the manufacturing (MRP2) system lets you visually schedule your assembly processes subject to your available capacity resources. 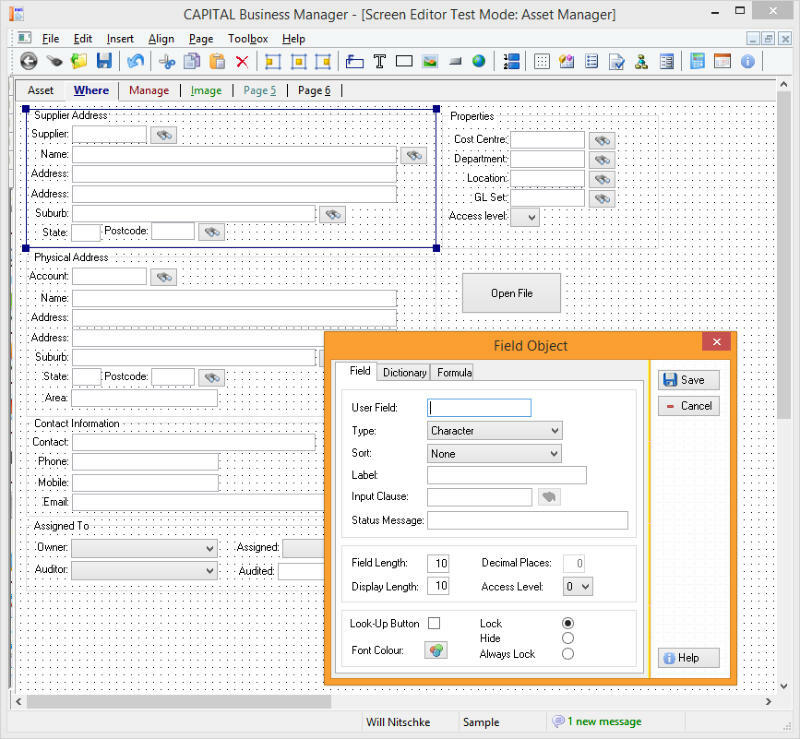 A variety of automated tools make a complex task virtually automatic. 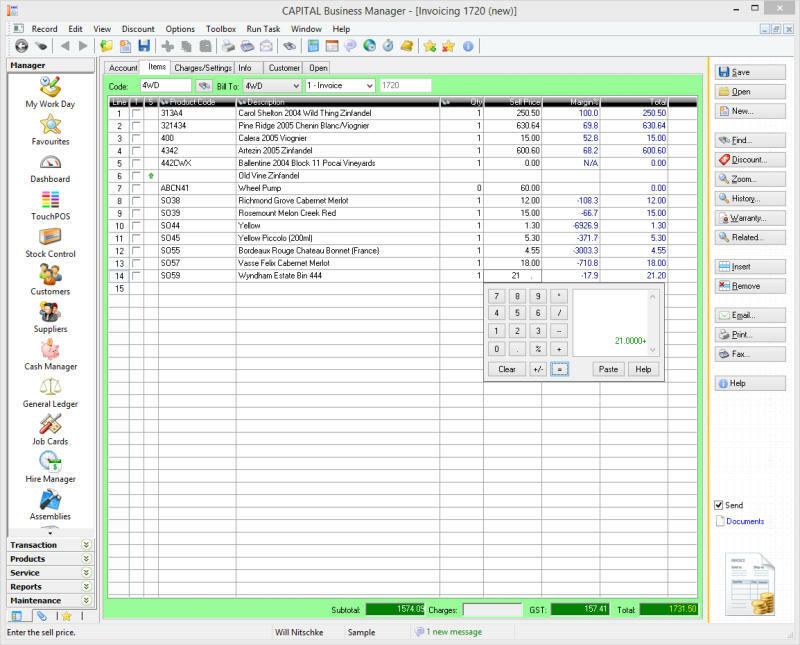 Efficiently designed transaction input screens allow for fast spreadsheet style data entry. 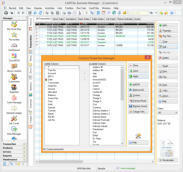 Compatible with barcode readers, view product, account, credit control etc., by pressing tabs across the top of the window. Flat navigation design: This screen shows how customer transaction activity, product sales, pending back orders, sales orders, quotes & job cards can be viewed without having to open & close different windows. 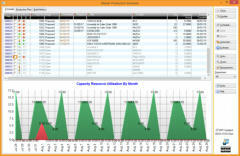 3D charts highlight key info such as overdue account balances, average days to pay, credit available, order value pending but not invoiced & activity history. 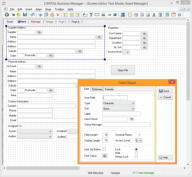 Design your own screens by embedding calculations, adding unique fields or images, or extra buttons. Remove unwanted data or move fields across tabbed pages. And customisations are upgrade safe. 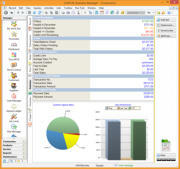 The Dashboard is where statistical information on your company database is summarised. 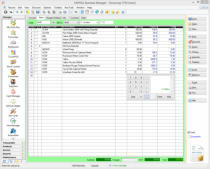 Tracks KPI's, sales activity, cashflow, etc. 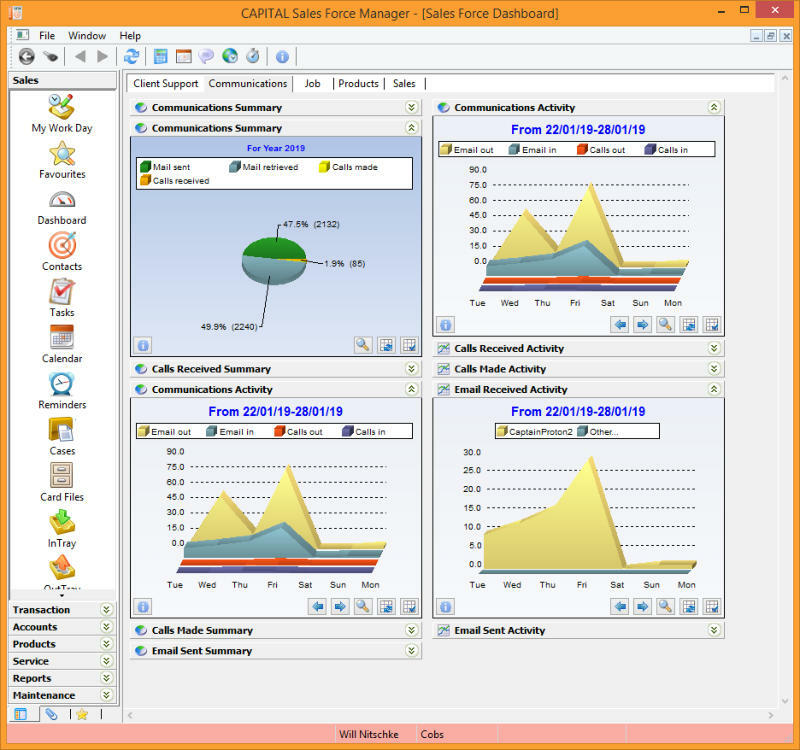 The Dashboard can be customised by individual user. 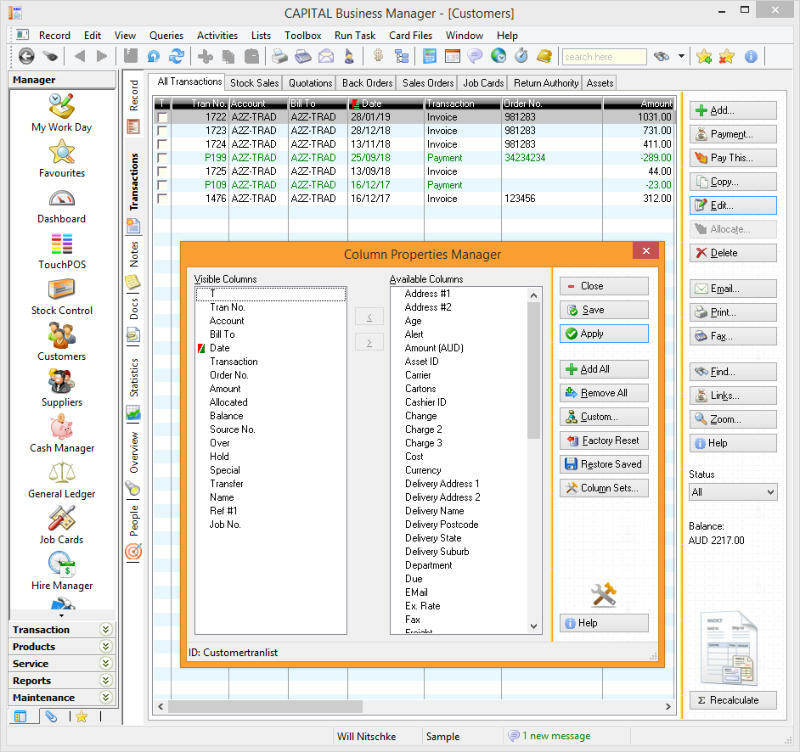 In the above image, the left is the V8 Explorer-Bar where the different functional areas of the application are opened. Visibility & ordering of these items can be changed using the Menu Editor.